© EPA Police set up a cordon outside Glushkov’s suburban home following his death in March. Glushkov is now thought to have survived a previous attempt to kill him by poisoning in 2013, the Guardian can reveal. Detectives are reinvestigating the incident as part of their inquiry into Glushkov’s murder, which took place a week after the novichok poisoning in Salisbury of Sergei and Yulia Skripal. The revelation has emerged in the week that Scotland Yard named two Russian suspects in the Skripal attack as Alexander Petrov and Ruslan Boshirov. The names are believed to be fake. Theresa May told MPs this week that both were career officers working for Russia’s GRU military intelligence agency. May’s claim that the operation to kill the Skripals was sanctioned “at a senior level” by the Russian state has prompted furious denials by Moscow. The Kremlin says it sees no reason to pursue Petrov and Boshirov, who presented genuine Russian passports when they flew on 2 March from Moscow to Gatwick airport. In contrast to the Skripal investigation, which successfully tracked the two Russians on CCTV, detectives working on the Glushkov investigation have struggled to find leads and are yet to identify any compellingsuspects, it is understood. Scotland Yard’s counter-terrorism command has released CCTV footage of a black van spotted around the time of Glushkov’s murder on 11 March. Officers are working on the theory that Glushkov may, like the Skripals, have been a victim of a professional assassin or assassins sent by Russia’s spy agencies. As part of their inquiries police are re-examining a suspected attempt on Glushkov’s life in early November 2013, six months after Glushkov publicly accused the Kremlin of murdering Berezovsky. Berezovsky had been found dead at his ex-wife’s house near Ascot. Glushkov told friends he first met the two Russians at Schiphol airport in the Netherlands. He was apprehensive about the encounter and picked the venue because of its CCTV coverage. He subsequently came across them again during a trip to Bristol, when he was staying at the Grand Hotel in Broad Street. Glushkov gave a graphic account of what happened to Keith Carr, a paramedic with the South Western ambulance service. Glushkov told Carr the Russians approached him and bought a bottle of champagne from the hotel bar. Glushkov agreed to drink it with them even though “he didn’t really know them”. Carr said he was called to the hotel the next morning to deal with a “collapse”. “I found Nikolai on the floor of his hotel room. He was able to stand up with help. He looked a bit tottery. We sat him on the bed. Glushkov told Carr he believed the Russians had poisoned him. He explained that he was a likely target because of his lifelong friendship with the late Berezovsky. Two police constables – a man and a woman – were in the room at the time. They were sceptical of his claim, Carr said. Glushkov was taken by ambulance to Bristol Royal infirmary. His daughter Natalia travelled to the hospital and he was later transferred to a private clinic near London. “Glushkov told me the men just turned up at his hotel,” Carr said, adding that this was the only case of an alleged deliberate poisoning he had seen in four decades with the ambulance service. Avon and Somerset police confirmed they attended a “suspicious incident” at the hotel and investigated, No charges were brought. It is understood Glushkov declined to cooperate with authorities. In the 1980s and 1990s Glushkov worked closely with Berezovsky and became Aeroflot’s chief financial officer. In this role he attracted the ire of senior figures after clamping down on alleged corruption schemes. In 2000 Berezovsky fell out with Vladimir Putin and fled to London. Soon afterwards Glushkov was arrested in Moscow. He got out of prison in 2004, moved to the UK, and was granted political asylum. In exile Glushkov was one of a group of anti-Putin emigrés, most of whom are now dead. They included Alexander Litvinenko, who was murdered in 2006 with radioactive tea, and the Georgian billionaire Badri Patarkatsishvili, who died in 2008 of an apparent heart attack. In 2015 Glushkov attended the public inquiry into the murder of Litvinenko, whom he knew well. It concluded that Putin had “probably” ordered the assassination. His own death by strangulation occurred on the eve of another hearing in London. Aeroflot accused Glushkov of fraud and spent more than seven years litigating against him, in what he believed was a politically motivated campaign by the Kremlin. On the morning of 12 March he failed to turn up to court. Russia does present a threat through hybrid warfare, or the use of deniable acts of disruption – primarily cyber-attacks on the UK that could disrupt essential services or interference in the democratic process, such as in elections. At about 10.30pm that evening his daughter Natalia and his former civil partner Denis Trushin called at his home in Clarence Avenue and found his body. 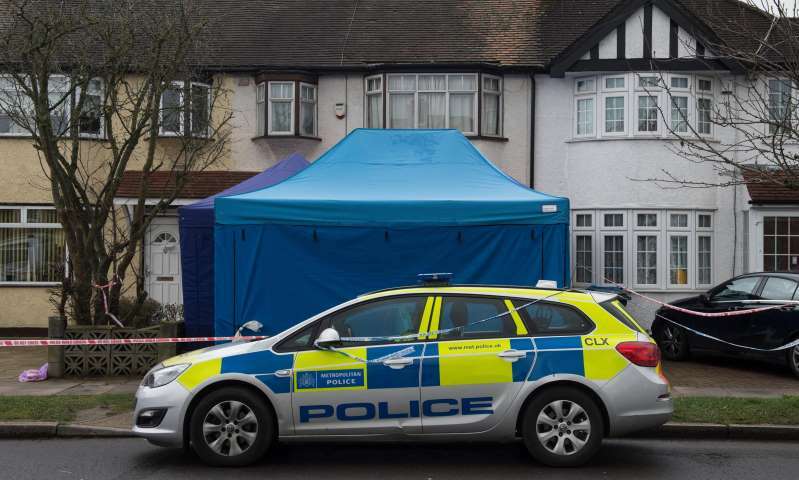 A murder inquiry was launched when a postmortem revealed he had died from compression to the neck. Aeroflot abruptly discontinued the case. The judge, Mrs Justice Rose, described the airline’s conduct towards Glushkov’s family after his death as “shameful” and awarded costs against it. Glushkov had been well aware of the dangers of accepting hospitality from strangers. In a telephone conversation with the Guardian in 2013, Glushkov said Berezovsky had often been cavalier about his own safety, and was indiscriminate about the kinds of people he met, some of them spies or agents dispatched by Moscow. So far detectives have examined hours of CCTV footage, taken 286 witness statements and seized 1,086 exhibits. Their murder investigation is called Operation Bulblet. The counter-terrorism unit took charge of the inquiry “because of the associations Mr Glushkov is believed to have had”, Scotland Yard said.